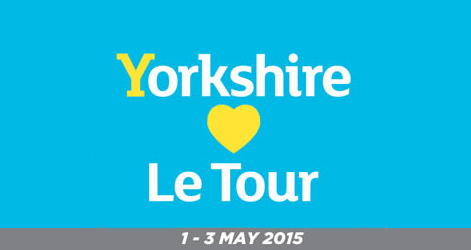 Have you seen that it is an exciting time for cycling in the region with the Tour de Yorkshire cycle race passing through Kirklees in just a few short weeks? Details on rolling traffic restrictions and residents’ roadshows have now been announced. On Sunday 3 May the race enters Kirklees at Denby Dale just after 1pm, and passes over the iconic M62 bridge at Buckstones around 2pm. The organisers are not expecting the same level of disruption to locals as last year’s Tour de France, as the Tour de Yorkshire operates rolling road closures. Police motorcycle outriders will form a protective bubble around the cyclists and ride ahead of them to close off junctions as necessary. This means roads only close just before cyclists arrive and open just after they have passed, offering much less disruption to traffic. One short section of the route from Slaithwaite to Scapegoat Hill (the Clough Road junction with Crimble Bank to its junction with Bolster Moor Road) will be completely closed from 10am until 4pm on 3 May. Resident who need to access their cars during this time are advised to move them before 10am on the day. For queries about parking restrictions and closures please call the Kirklees Council Helpline 01484 414881, or email customer.enquiries@kirklees.gov.uk. For maps of the route, road closures and parking restrictions please visit kirklees.gov.uk/letour.